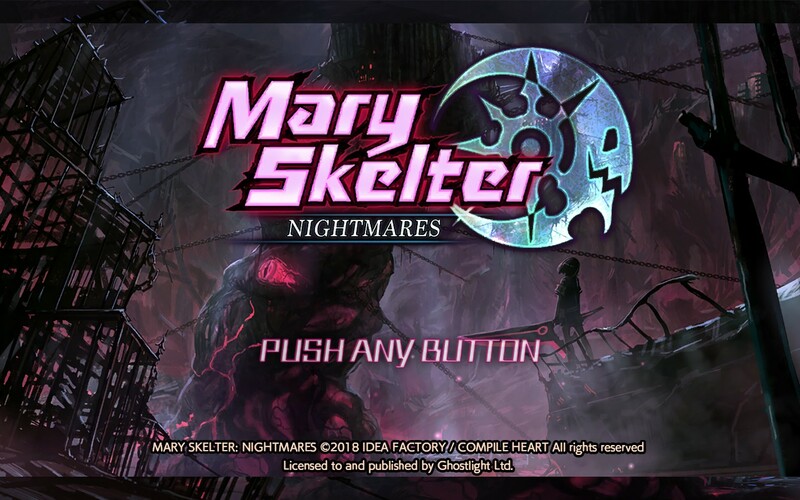 Coming from the darker side of Compile Heart and Idea Factory, out now for PC, we get a look at one of my new favorite dungeon crawlers, Mary Skelter: Nightmares. 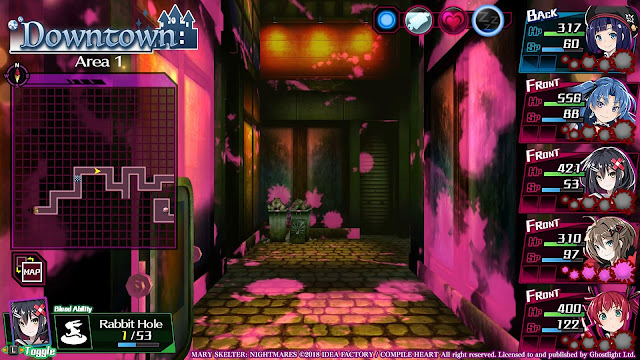 Delve into the depths of the living prison “Jail” with Jack, Alice, and the rest of the Blood Maidens as they beat up eldritch abominations, bleed on the walls, and generally struggle with sanity. At its core, Mary Skelter is a fairly traditional dungeon crawler, its what has been added to that standard formula that really sets it apart from the crowd. Your main character in Mary Skelter is Jack, a boy who was trapped in a cell in the Jail along with Alice, his childhood friend. After being rescued by Red Riding Hood, it’s discovered his blood has the ability to repress the extreme violence that comes with the enhanced abilities from being a Blood Maiden. As you explore through areas, filling in your map, discovering items, and usually getting rather lost, you will get into battles that are turn-based with a visible turn order. While most characters get the standard options of: attack, skill, defend, escape (and one other interesting option), Jack has the option to guard an ally or to coat an ally in his blood. Jack can usually take a hit or two before he gets stunned. Get stunned too much and he’ll be KO’ed for the battle. By coating allies in his blood, you can reduce the chance of the Blood Maiden entering the berserk Skelter mode, instead of the “overlimit” style Massacre mode, which builds up as you get your enemies blood on you. As the story progresses, Jack can get more abilities, such as a buff with his blood. 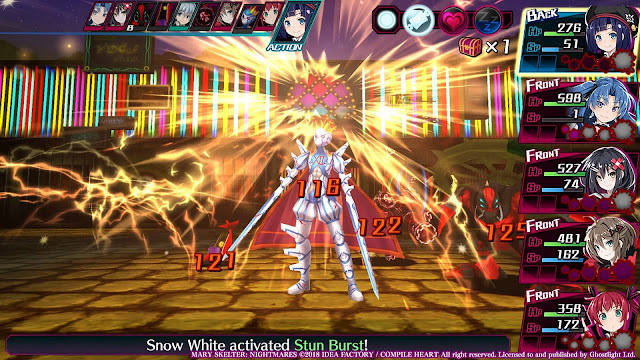 The Blood Maidens also have the rather unique option of licking the blood off of the other Blood Maidens for healing or buffs, which change depending on the character being licked. As you may have been able to figure out, there is a focus on blood. Mary Skelter is pretty dark. 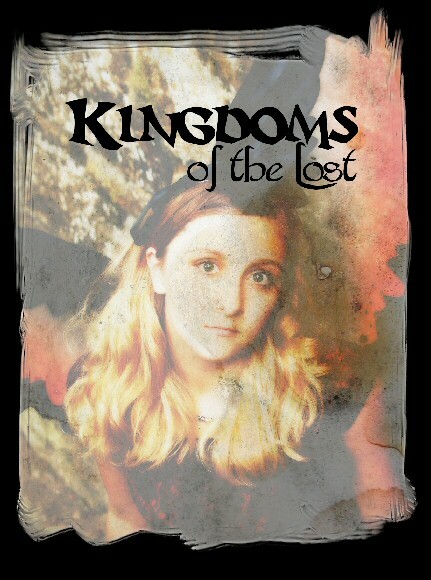 People die, there’s torture, sad backstories abound. Reflecting the rather dark tone of the game is the major bosses, or the “Nightmares”, as they’re called. The Nightmares function as zone guardians for the Jail, and need to be defeated in order to escape. Fair warning though, they aren’t gonna make things easy for you. As you begin exploring an area, a Nightmare may actually come to you. Unfortunately, until you find the core keeping it alive, it will be immortal, and you can pretty much only run away, or knock it out temporarily to run away. The Nightmare will start chasing you if you enter too far into its “darkness zone” that you can see around where it’s walking around. As you’re being chased, the Nightmare will have its turn order progressively move forward, and you lose your minimap. Get far enough away and you escape. But guess what? The Nightmares can chase you up and down floors in an area zone. I found that one out the hard way. As you explore through the zones, you will get more characters to fill out your party roster, which can have up to five people in the front line, excluding Jack, and five as support members. With a class system that’s fairly comprehensive in what each character can do (with five default classes to swap between), your party can be made of who you want, instead of who you NEED, which I love to see (Hameln best grill). Each class offers different available skills, and after unlocking a class, the character can use any skills that have been unlocked, regardless of class. The only thing is that switching classes requires class change permits, which are awarded every ten levels. Also, you have a limited amount of skill slots, although you can increase the number available with blood crystals, which you also need to swap classes. These crystals are awarded by type depending on the enemies killed in a fight, and will probably be a major stopping block for the more rare crystals. Skills can also be upgraded by spending CP to enhance traits and skills. In addition to the generic class skills, each character also has specific Massacre mode skills, which can be gained by increasing party member affection enough and/or finding an event point in a stage. As you roam about the Jail, the Jail itself will exhibit tendencies towards certain moods, mainly Hunger, Libido, and Sleep. 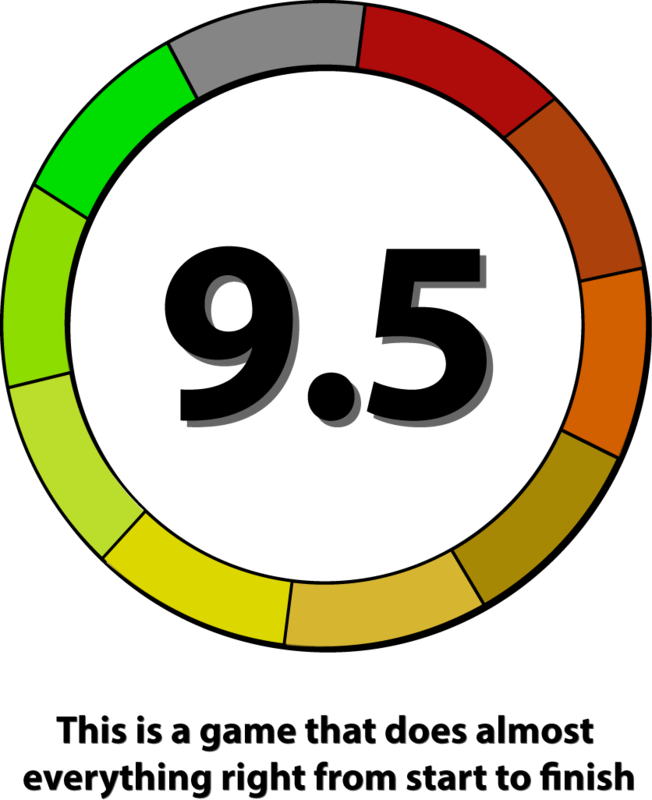 By performing actions in line with the current mood of the jail, you can increase a level of Jail satisfaction. Upon maxing the satisfaction, you get a roulette that is simultaneously the most helpful and annoying thing I’ve ever seen. In battle, if you meet the requirements, the roulette usually has healing and buffing options, as well as increased rewards. Out of battle you have a chance of getting “Jail growth release”, which basically opens up a part of the Jail if it’s available on that floor. Cue me and my completionist OCD trying to get the expansion on every floor. Problem is, the growth release can pop up even on floors without a releasable section, or if you’ve already released, or not at all. Not to mention that it’s a roulette wheel, so you might miss it. Really annoying late game when every other battle triggers a Hunger Roulette and you need to sit there dealing with a roulette every other fight in a dungeon where the floor size is 100x100 tiles or bigger, but at least that’s mostly the bonus dungeon specifically. Exploring these sometimes massive floors requires a lot of thought occasionally, as there are various skills unique to each Blood Maiden that allow you to activate switches, get treasure chests from further away than you can see them (Hameln best grill - Editor's Note: I wonder if he likes Hameln...), and allow you to access new areas. I really loved seeing these different abilities and how they were used to get by puzzles and traps, most notably because although you move one square at a time, the traps can be dynamic, requiring actual timing, instead of just “don’t step here”. 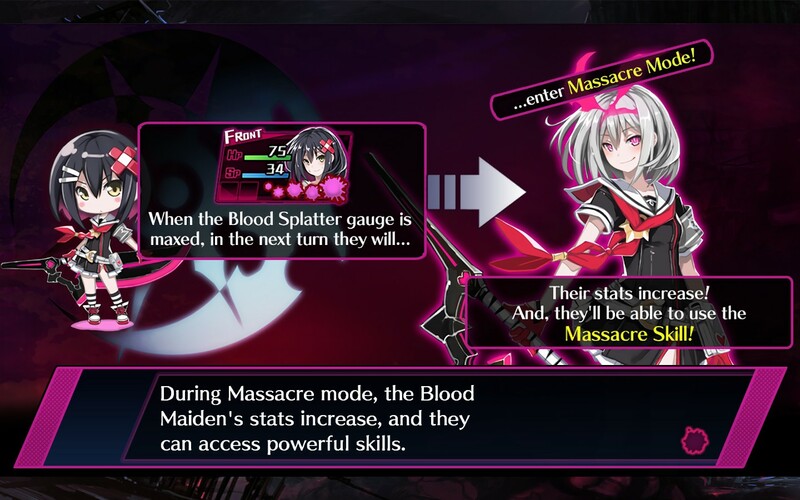 With a wide range of interesting and unique characters all based on stories or fairy tales, a really solid battle system and dungeon crawling layout, and some really great soundtrack pieces, there’s a lot to love about Mary Skelter: Nightmares. Seriously, the ending theme after the true ending has to be my favorite credits theme in a game, ever. The game does have a few downsides, such as some balancing issues, as early game is brutal, but I crushed through the later half of the game. Once you have a set-up that works, it REALLY works. Most fights are either crushing the enemies, or getting crushed yourself. Also, the true ending requirements are a bit of a Guide-dang-it moment, which took me way too long to figure out, but at least you can google it, now that the game has been out for a while on Vita. The bonus dungeon is an exercise in patience mostly, some of the sidequests don’t appear until after you’ve finished with a zone, or are really vague about where to acquire materials, and the Nightmares can be super relentless at times, but overall those are just minor nitpicks. The PC port runs really smoothly, offers an always available controls menu, and the difficulty is changeable at any point, other than in battle or cutscene, of course. The PC port also looks a lot sharper in dungeons, although the rest looks a little evidently resized, but it is a PC port of a Vita game, so I can’t fault that too much. Mary Skelter also provides you with handy warp points in-dungeon upon reaching certain spots, which is great for not having to walk all the way through a dungeon again. Seriously saved my sanity. There are a massive arrangement of weapon types available to each class as well, meaning you can focus on a specific aspect even within a class, and with the devolution option that takes levels away for stat buffs and additional CP, you can start on some fancy minmaxing adventures. Mary Skelter: Nightmares is definitely one of my favorite dungeon crawlers, whether it be characters, music, battle system, or tone/theme, I just had so much fun playing it the entire way through. With some seriously messed up looking bosses, handy warp points, and Hameln, Mary Skelter just had so much I enjoyed. 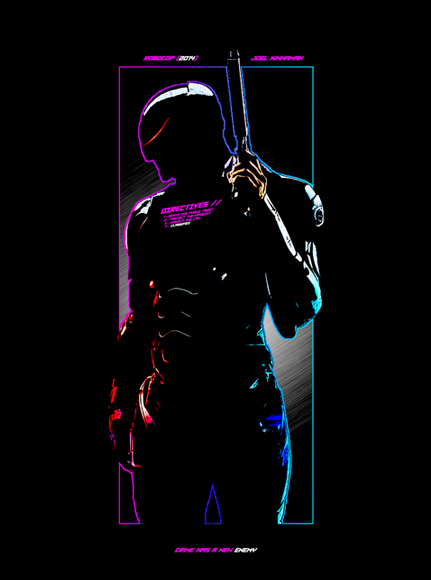 I can tell you for certain that I’m eagerly anticipating the sequel that’s been announced, and I hope you’ll enjoy this game as much as I did.